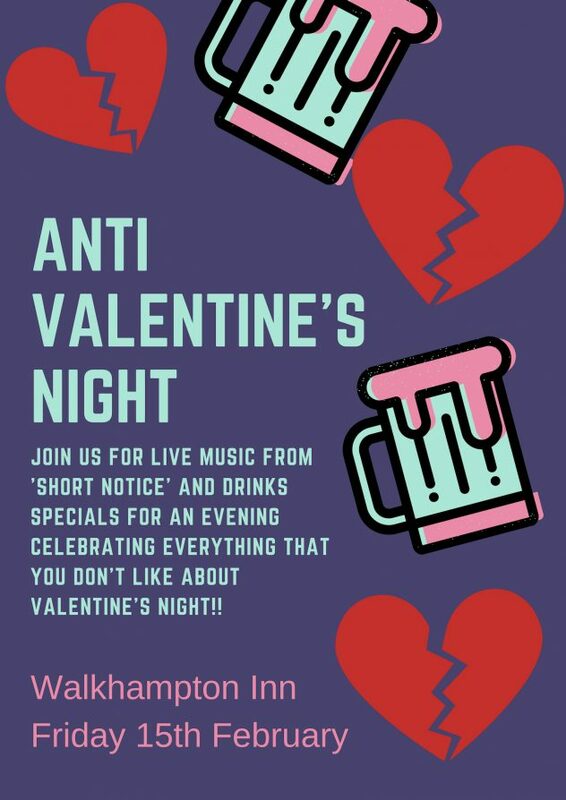 If you’re not a fan of Valentine’s Night then come along to our Anti Valentine’s Party! We have live music from ‘Short Notice’ who will get you in the mood for dancing (and not romancing) to go along with our Anti-Valentine’s Cocktails and drinks specials. The party will be on Friday 15th November with music kicking of at around 9pm. See you there.